I know a little about a varied lot; I know a lot about very little. I got my dad a book of poems for Christmas by the 2011 Nobel Prize in Literature winner, Tomas Tranströmer. 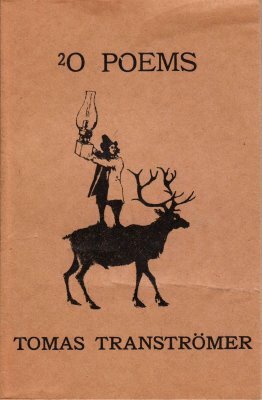 The poems in this edition are translated from their original Swedish into English by several different people, including poet Robert Bly. 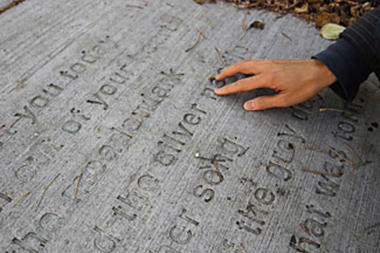 This got us to talking about the translation of poems–is it possible? What’s the best method? Who best to do it? I brought up American poet Jane Kenyon who translated twenty of Russian poet Anna Akhmatova’s poems…without knowing any Russian. She had a fluent Russian speaker create English transliterations–direct translations of each word, with notes on subtleties–and from those she created her own poems. Perhaps this doesn’t sound like much of a translation. Perhaps it seems like Kenyon was using Akhmatova’s poems more as inspiration than subject. Or perhaps it seems presumptuous that Kenyon did not need the original language to create poems loyal to the originals. Unfortunately, loyalty is one of the most controversial and difficult subjects in the field of translation. To whom does the translator owe the greatest loyalty–to the author, the work of literature, or the audience for which the new work is being created? As the Italians say, Traduttore, traditore (Translator, traitor). 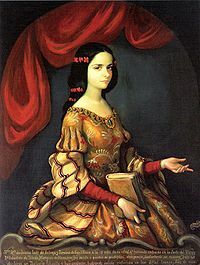 For a college course on translation, I did a project on Sor Juana Inés de la Cruz, a brilliant Mexican woman who entered a convent so as to continue her studies, and wrote biting criticisms of the sexism rampant in her 17th century society. One of her most famous poems, Hombres Necios (Foolish Men), attacks the hypocrisy of those men who condemn prostitutes for their sin and yet are the same men who frequent brothels. 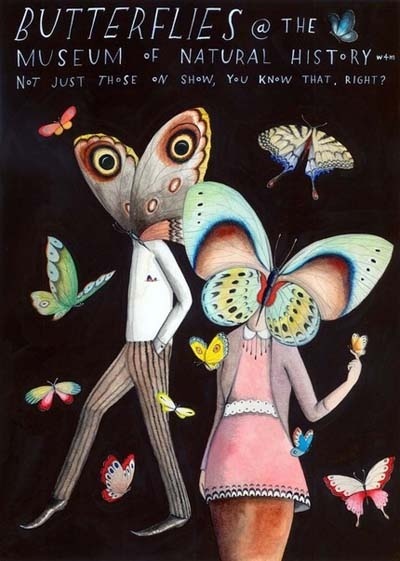 Translating this poem was difficult enough–she writes in a very formal style with strict rhythm and rhyme scheme, which is hard to pull off in English. To add to it, though, I also decided to translate a parody of the poem, Hembras Necias (Foolish Females). In translating the parody, I realized I had to parody my translation. Which is to say, the parody that I wrote in English related more to my translation of Hombres Necios than to the parody in Spanish, so that English readers might see the connection and understand the puns involved. This led to me another conclusion: all translation is, in a sense, parody (so long as we think of parody not necessarily mocking the original work but being created in its form). In this project, I used the theory of Russian philosopher Mikhail Bakhtin, who said that all literature and indeed all language is in continual dialogue with everything that has come before and will be changed by everything that comes afterward. Nothing is said or written in a vacuum. Translations, then, are just a part of this dialogue. “Perfect” translations cannot exist, because words in different languages are not equal–they have different connotations, different histories, different users. So perhaps there is no correct way to create a translation of a poem. As the translator does not wish to replace the original, the best she can do is submit a new work in the ever-shifting landscape of literature and hope the it continues the dialogue in some meaningful way. 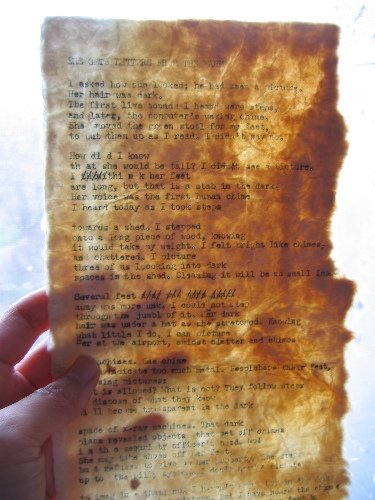 As I mentioned on Monday, in June of 2007 I began to memorize poems to prepare myself for a summer of being around writerly folk in Provincetown, Massachusetts. I imagined us interns at the Fine Arts Work Center giving recitations over glasses of wine, and being called upon by the great visiting writers to speak the words of our favorite poems at will. Thus, I memorized Lee Young Li’s poem Dwelling, To the Harbormaster by Frank O’Hara, Onions by William Matthews, and Robert Hass’s Meditation at Lagunitas. I tried to memorize Maxine Kumin’s Jack and Stanley Kunitz’s The Portrait, both of which make me cry every time I read them. I worked on committing to memory longer poems, such as Diving into the Wreck by Adrienne Rich and Robert Frost’s Mending Wall. 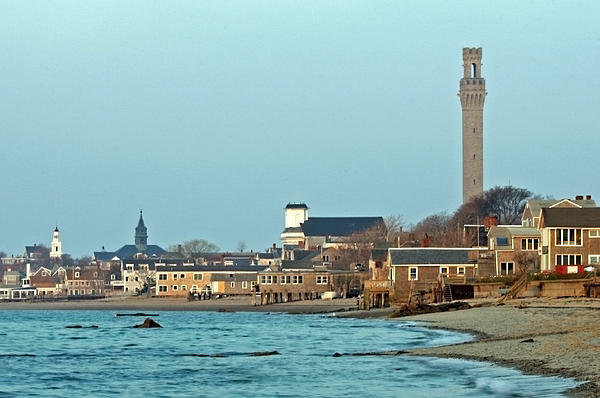 When I arrived in Provincetown, I quickly realized that no one was going to call on me spontaneously for a poetic recitation (not even Maxine Kumin herself, whom I helped by carrying her luggage to her rooms on my first day of work). The words I’d worked so hard to remember drifted away, but I wasn’t disappointed. I filled my mind instead with the new works that I was continuously exposed to. In my final week at the Fine Arts Work Center, novelist Colum McCann was one of the teaching artists. Being an equal-opportunity drinker he invited everyone he met out to the bar, from his students, to random Portuguese fishermen, to the “bears” visiting for Provincetown’s annual Bear Week. We interns were included nightly in these trips and after we’d each had several rounds one night Colum began singing Irish folksongs. When he stopped singing (a beer or two later) he looked at us. “Now, who’s got a poem to recite?” he asked us. My heart sank. Any work I’d done memorizing poems that hadn’t already been erased over the course of the summer was now muffled under the wool of alcohol. Still, I volunteered, hoping that a poem would find its way out of some pathway of my brain. of onions still on your twice-washed hands. And the places on her body have no names. 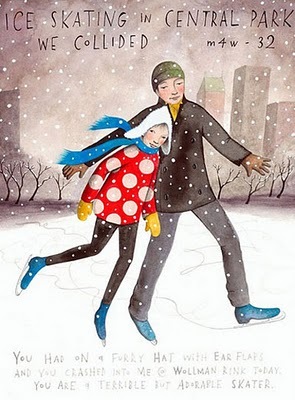 did you remember that one good winter? And, because everyone else had had as many beers as I, they all applauded noisily (having probably not understood what I was saying anyway) and Colum started up another Irish shanty. The memorization had been worth it after all. When I was in high school, one of my favorite things to do was go to a local coffee house with my best friend and read a section in our local newspaper called “I saw you.” The paper has since discontinued these stalkerish personal ads, perhaps due to the popularity of Craiglist’s Missed Connections site. 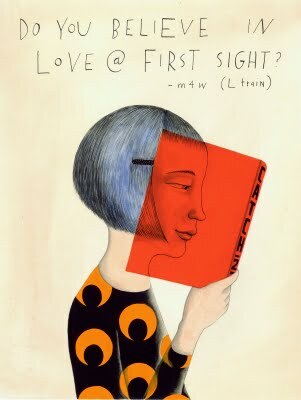 On Missed Connections, you can write of your love-at-first-sight for the man at the gas pump next to you or the woman whose eye you briefly caught while you were both stopped at the traffic light. And you can hope that this person–potentially your soulmate–will see your ad, recognize themselves in your description, and respond. Happily ever after. In fact, I once worked with a woman who spontaneously posted a Missed Connection after seeing the same two guys at a few consecutive concerts around the Twin Cities. One of the guys saw it, responded to it, and married her a few months later. And it’s this kind of story that inspires all those other thousands of hopeful romantics (or unrealistic creeps) that a Missed Connection might turn into a Mr. and Mrs. Connection. Although seemingly counterintuitive, limitations nourish creativity. If someone asked you to write a poem in one hour and gave no guidelines whatsoever, you might end up staring at a blank piece of paper for sixty minutes. On the other hand, if the person specified that this poem must be twelve lines long, rhyme in an ABAB pattern, and include the words “salt,” “dive,” and “molten,” your brain would be much likelier to start firing with associations and possibilities right away. It’s no surprise, then, that poets often turn to predetermined forms to get their creative juices flowing, such as haikus, villanelles, sonnets, pantoums, and ghazals. 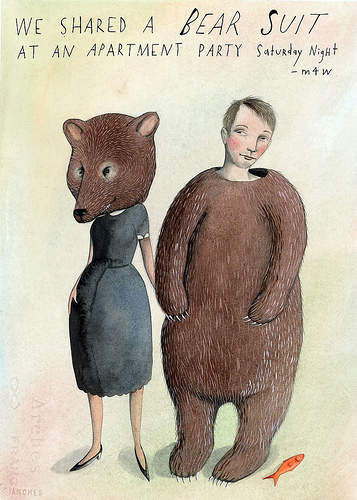 One of my favorites is the sestina, which happens to be the only poetic form that the web version of the literary magazine McSweeney’s accepts for publication. September rain falls on the house. laughing and talking to hide her tears. but only known to a grandmother. The iron kettle sings on the stove. the way the rain must dance on the house. and her teacup full of dark brown tears. feels chilly, and puts more wood in the stove. It was to be, says the Marvel Stove. I know what I know, says the almanac. and shows it proudly to the grandmother. has carefully placed in the front of the house. Time to plant tears, says the almanac. and the child draws another inscrutable house. it’s the same old world. Are you a St. Paul resident? The fourth annual contest ends this Sunday, April 17th at midnight! Check the guidelines if you’re interested in submitting. In the American tradition of giving causes their own days and months, April is National Poetry Month (this week is also National Library Week–a double whammy!) Inaugurated by the Academy of American Poets in 1996, poets, teachers, publishers and booksellers now celebrate the art form in a multitude of ways from readings to poem-a-day mailings to poetic tweets. My own illustrious career began in the 3rd grade when we were doing a poetry unit. We learned about haikus and tankas and tried our hand at several forms. When we were instructed to write an ode, I quickly put together a poem about one of my best friends at the time. I turned it in to my teacher within a few minutes. She looked it over and suggested a few revisions, but I shook my head, assuring her that my artistic vision was perfect the first time around (somehow I already had a fully-formed artistic ego, and only learned the necessity of revision when I was about 21). The poem eventually won a contest judged by Garrison Keillor, for which I gave readings at a local mansion and a Barnes and Noble. That early success has been unparalleled in the sixteen years since. Middle school was a particularly bleak time for my poetry (What more can I speak/of that which I seek?/Ah, this poetry is bleak!) But luckily I went to a college with an exceptional creative writing program and was gently nurtured from writing terribly crappy poetry to something a little more substantial. 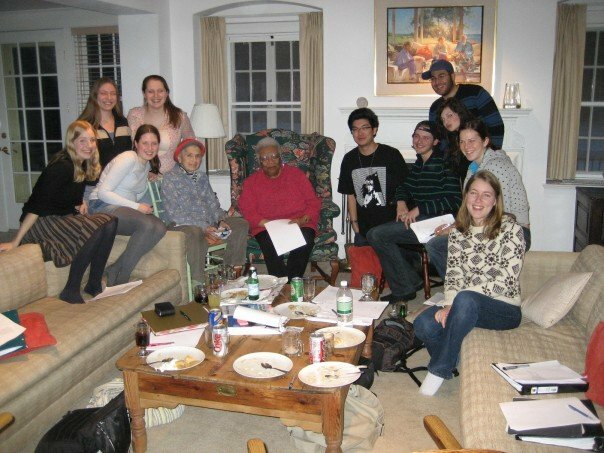 The winter of my junior year I was in a class led by the wonderful poet Cleopatra Mathis. For those three months, and about six months thereafter, poetry made sense to me. I could read a poem and be profoundly moved by it, and I saw the world in metaphor. That summer I had an internship at the Fine Arts Work Center in Provincetown, Massachusetts, and on the ferry ride over from Boston I started to memorize poems from my Vintage anthology (see above). That summer was one of the best of my life, as I was surrounded by other fiction writers and poets my own age as well as published writers. As most of us interns were newly 21, we spent many nights out on the town, but it was perfectly acceptable to decline an invitation out if you had a poem or story in mind you just had to get down. At the end of the summer, one of my fellow interns who was in her second summer with FAWC told me that things would never be as good as with this community. She had gone back to her senior year of college with high expectations, but had been disappointed by the lack of energy there. Though I had had a fabulous class the previous winter, I experience a similar let-down my senior fall. I was in a seminar for poetry majors, but the poetry I was writing sucked and it seemed like I had no hope of improving it. I continued on, miserable, and was denied entrance to the honors track in poetry, instead being assigned an independent study. 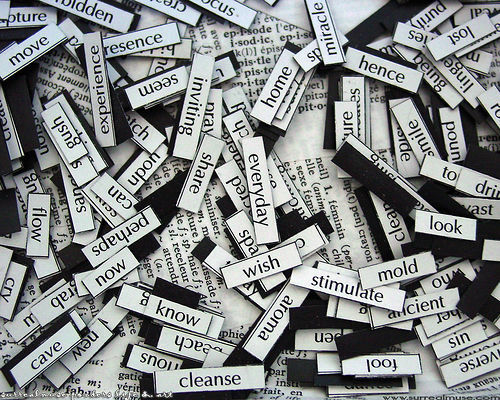 Poetry just didn’t make sense to me in the same way it had, almost as if my ability to understand it had shut off. Luckily, at the last minute I changed my focus to fiction and was able to make the honors standard with a thesis of short stories, but it meant that I gave up the image of myself as a poet. I still haven’t gotten back in the habit of creating poetry out of my everyday life, but I have recently started reading and finding beauty in it again. Maybe my ability to understand it is turning back on. 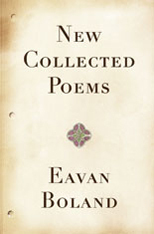 My undergraduate thesis advisor recommended Eavan Boland to me, having recognized an aesthetic in her work that I seemed to be striving toward. Her poetry explores the nature of womanhood (look at me as a daughter would/look: with that love and that curiosity–/as to what she came from./And what she will become.”); and she is a woman clearly in tune with nature (“When the nest falls in winter, birds have flown/to distant lands and hospitality./The pilgrim, with his childhood home a ruin/shares their fate…”). She extemporizes on Irish mythology (“The blood of man turns back and flows muddy/from this changing heart, and this fair skin/is ruffling in the feathers of a swan”), and Ireland’s difficult history (“I was born on this side of the Pale./I speak with the forked tongue of colony”). Again, the water fretted by a cygnet’s thrust. 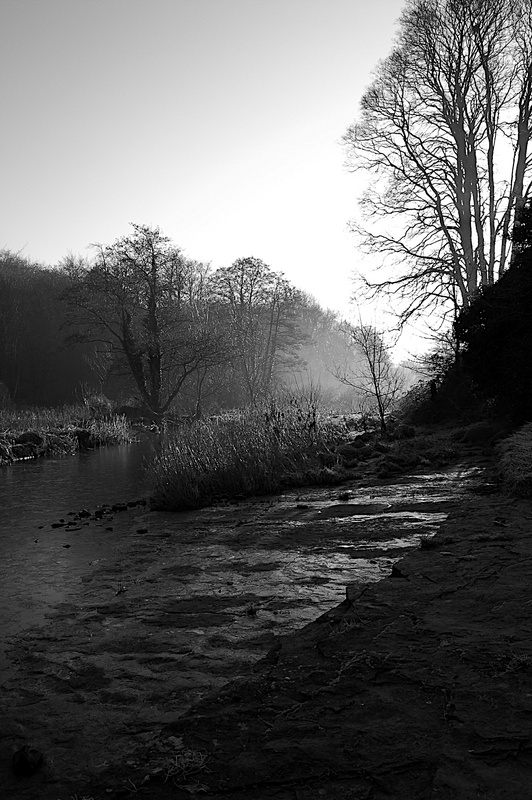 The river flattens to the land.